An example video of using #RPAS / #Drone / #UAV technology for supervision and safe behavior observations during a gorse conversion project for the establishment plantation #forestry in New Zealand. A single rope gravity #roller #crusher is being used in this case. UAV’s allow regular supervision and inspection without the need for staff to breach the safe working radius of the machinery. The area completed can also be marked up and contractor payments made. 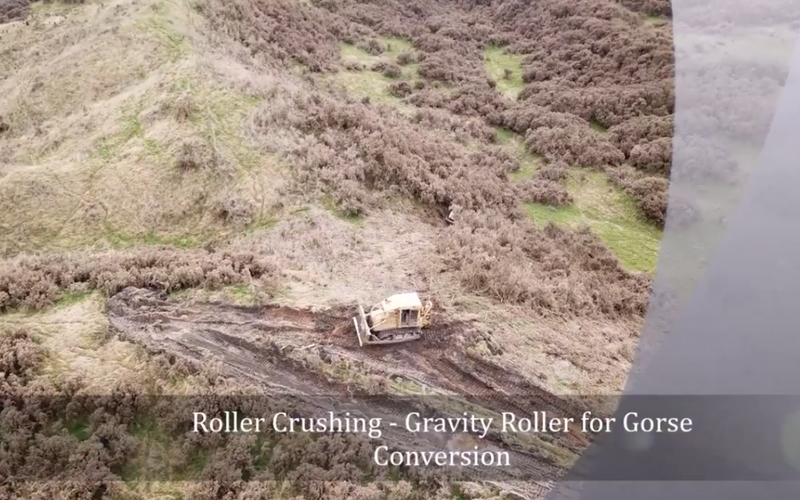 For those interested: Gravity rollers are normally based on a bulldozer with some modifications to the winch. The roller is then raised and lowered over the hill side with the bulldozer remaining at the top of the slope being worked. The roller was 3m wide, 1.4m in diameter, weighed approximately 6 tonnes and had 12 evenly spaced and sized blades to break the gorse slash into small pieces. These unsharpened blades were 150mm high and 12mm thick. Want to know more about using UAV’s in forestry or to get your own and receive training talk to our team.